Some of the best gadgets these days are those that understand a modern problem and aim to tackle it in an innovative way. Take brushing and rinsing, for example. 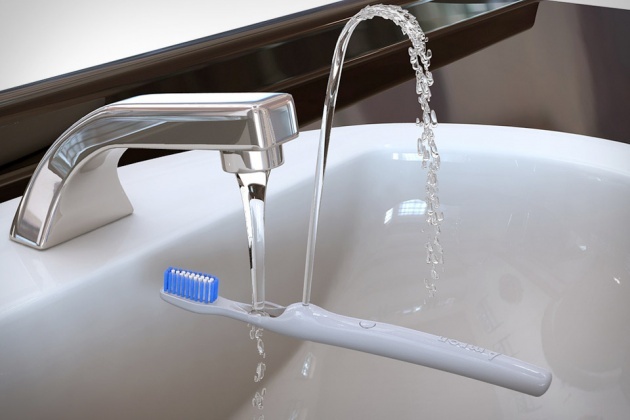 Two tasks that always go together but, until now, required toothbrush as well as a cup or cupped hand. RinserBrush offers a clever alternative with a a geyser-like stream that's created when you aim the water at the top of the handle.